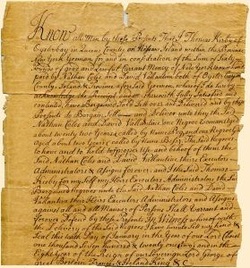 Bill of Sale, 10 January 1722. 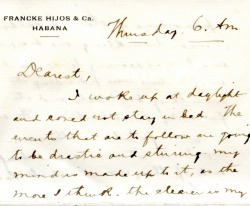 Thomas Kirby to Nathan Coles and David Vallantine, selling to them, for sixty pounds, two female slaves, Bess and Peg. 23 x 21 cm. Manuscript 168. Oyster Bay Historical Society Collections. An introduction to the lives of a far-from-garden-variety family from Long Island’s Gold Coast.